Thank you Sarah Palin and WordPress – I’m a top blogger! | Cafe Arjun - 15 times WordPress Top Blog! Thank you Sarah Palin and WordPress – I’m a top blogger! While surfing the web, came across Cafepress and saw some cool Anti Sarah Palin T shirts‘ designs. Found ’em pretty interesting and blogged about it. The result? 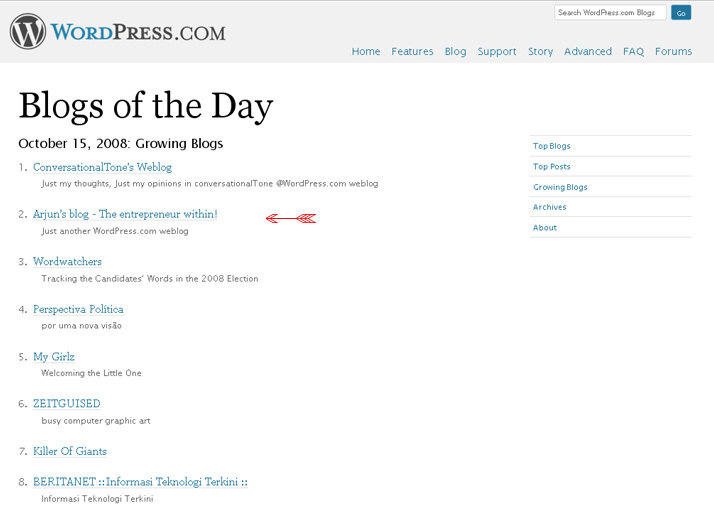 Ranked 58th amongst Top Blogs on WordPress!! A heartfelt thank you to Sarah Palin for being her! Which brings me to today’s news – On being asked by Limbaugh on the Limbaugh show “have you thought of your political future beyond the 2008 US Election Campaign”, Sarah Palin replied “That’s a good question“.. Sarah! Thats another superhit !! ← Bobby Bones and Vanessa Hudgens on beach – only I have the pictures! 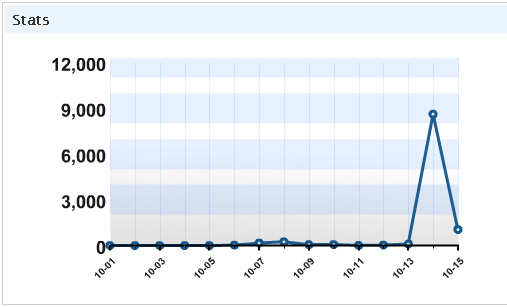 Sarah Palin is the hottest topic in the blogosphere. Well done, the topic actually attracts attention. Who hasn’t heard about anti Sarah Palin T shirts?? I thought I read about that twice yesterday.. add to that a million other posts on Sarah Palin.. one can only imagine the total number of searches for that Keyphrase on Google! Hands up everyone who’s searched for Sarah Palin on Google in the last 2 days! !